Director #RajkumarHirani released the song 'Bhopu Baj Raha Hain' from #Sanju that didn't make into the film. The party song written by Shekhar Astitwa & Rohan Gokhale is composed by the duo Rohan-Rohan and sung by Nakash Aziz. 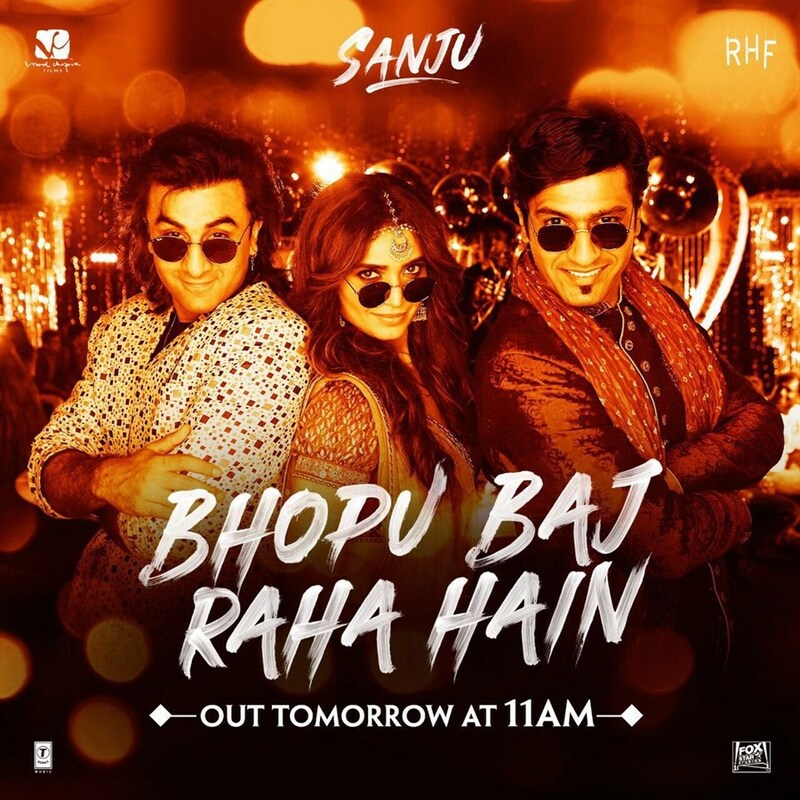 The song features Ranbir Kapoor as Sanju and his best friend Vicky Kaushal as Kamlesh dancing at a party. The Sanjay Dutt biopic titled 'Sanju' is presented by Fox star studios. The film starred, Ranbir Kapoor, Vicky Kaushal, Anushka Sharma, Paresh Rawal, Sonam Kapoor, Dia Mirza, and MAnisha Koirala in lead roles. Directed by Rajkumar Hirani and produced by Vidhu Vinod Chopra, 'Sanju' released on 29th June 2018. The Ranbir Kapoor starrer, 'Sanju' crossed 200 cr. mark and became the biggest blockbuster of the actor's career.